The best way to have an in-house IT expert, without having to actually employ an in-house IT expert. We know that good IT is absolutely vital for the success of any business in today's marketplace. We also know that most business owners and managers are not experts in technology. The big problem is that you simply don't know what you don't know. 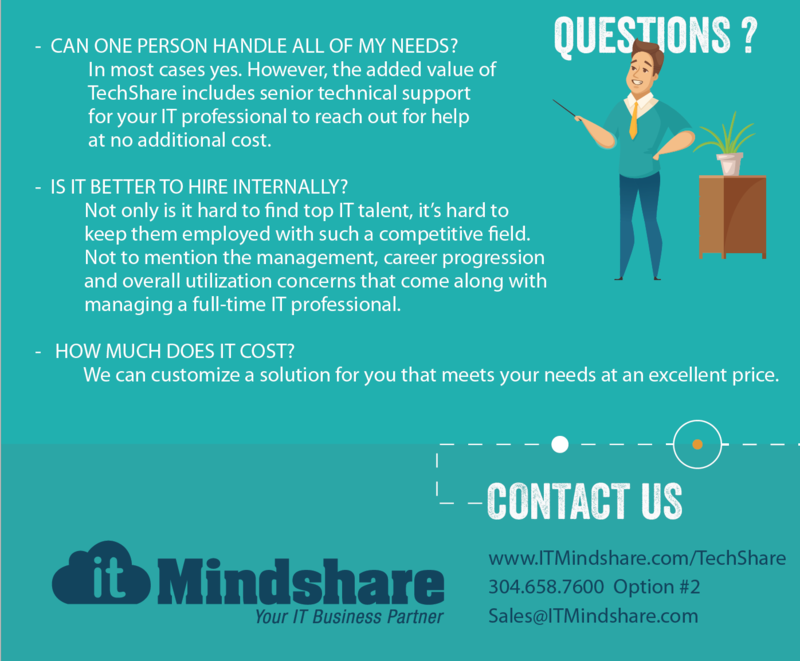 When your organization has grown enough, you will eventually be faced with a choice of how to manage your IT; whether it be to engage with an IT services company like us, to hire your own internal IT person, or to find a solution somewhere in-between. 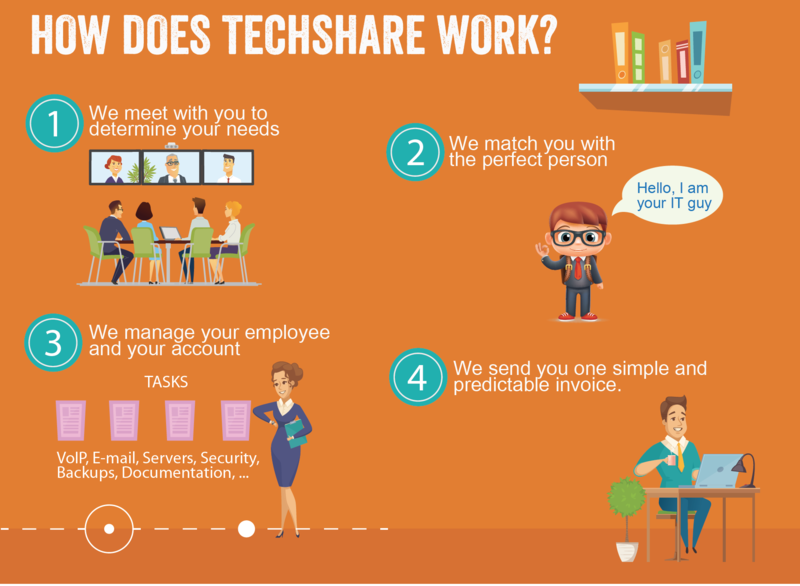 Now, IT Mindshare has developed a way for clients to get all the benefits of having a dedicated IT expert at their locations daily to handle all of the various on-site IT tasks that come up, without the dreaded hourly charge for every visit and the hassles that come with recruiting, hiring, and keeping an internal IT tech. You get the advanced service you need to run your business better, and we handle the rest.